Tehran, 1988: As the Iran-Iraq War rumbles into its eighth year, a mother and daughter are slowly torn apart by the bombing campaigns on the city, coupled with the country’s bloody revolution. 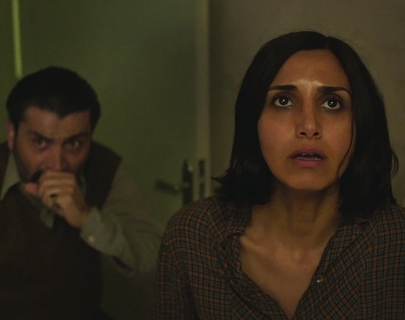 As they struggle to stay together amidst these terrors, a missile hits their apartment building but fails to explode. Soon after, a neighbour dies under mysterious circumstances and the daughter’s behaviour becomes increasingly erratic. The mother is convinced that the missile might have brought with it a Djinn (malevolent Middle-Eastern spirits that travel on the wind) and she is forced to confront the evil forces.